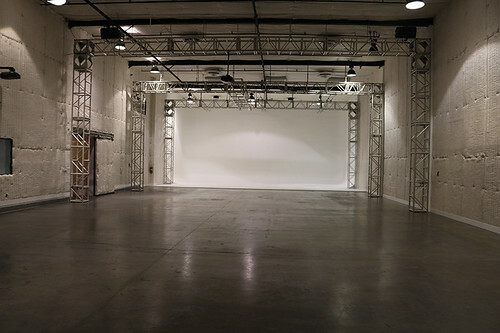 Short and Long Term Production Space Available! 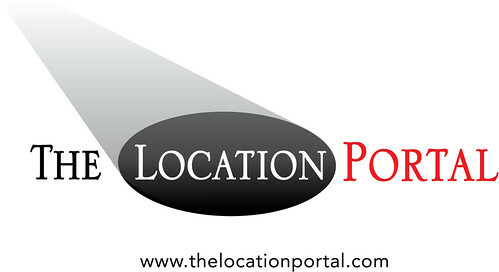 Location Professionals: Are you looking for short or long term production or stage space? 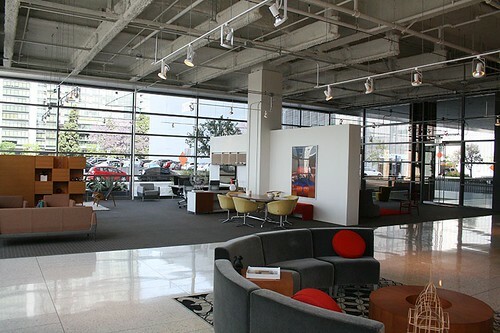 We have flex properties with warehouse and built out space to suit your needs. High ceilings. Sprinklered. Ample parking. 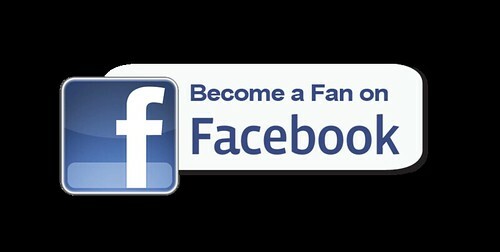 Call Chris at (818) 312-5798. 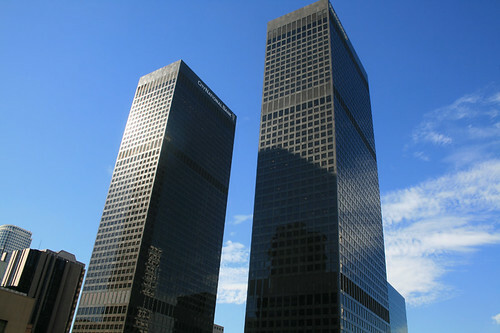 The Location Portal proudly features South Park Center, a 3 2-story office tower located in Downtown Los Angeles. 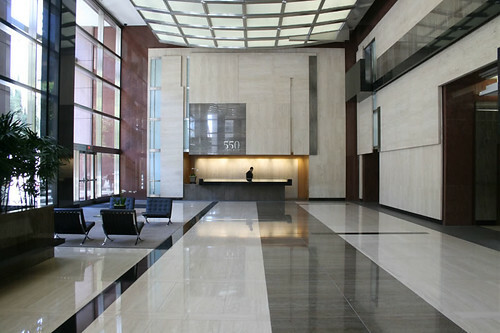 Features d ual lobbies with granite, terrazzo and wood finishes; e xpansive tiled hallways with lounge areas and retail food court; d ressed and vacant offices with modern and traditional looks; s ubterranean garden level cafeteria and fitness center; o utdoor courtyard with fountain and stairs; s tate-of-the-art 500-seat theatre with foyer and balcony; v alet and two parking structures with tunnel to building; r ooftop with helipad . C lick on photos for more details about this property. 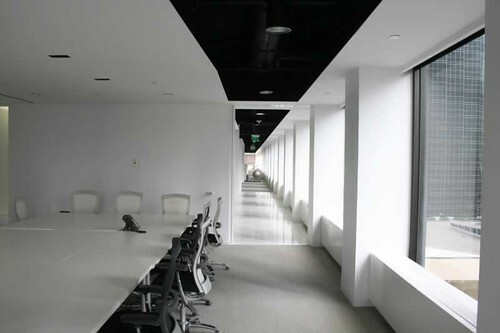 The Location Portal is pleased to present the film-friendly City National Plaza, an o ffice complex comprising an entire city block in Downtown Los Angeles. 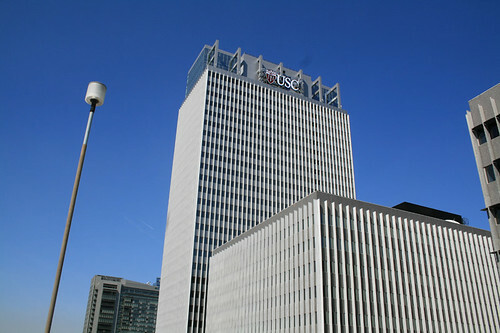 Features two 52-story s teel framed towers with polished panels of Forest Green granite and a single-story plaza level building; f our subterranean levels of retail space with long corridors; r ecently updated plaza with fountain and seating areas; e xpansive lobbies with dual entrances, escalators, revolving doors; c reative dressed offices with glass conference rooms, cubicles; v acant and raw floors with views; s ubterranean parking garage with valet; r ooftops and helipad . C lick o n photos for more details about this property. 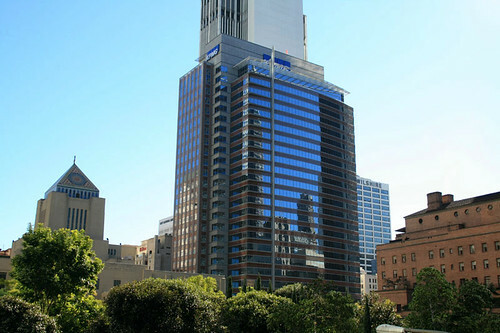 KPMG Center is a 28-story flamed granite and glass tower located in Downtown Los Angeles. 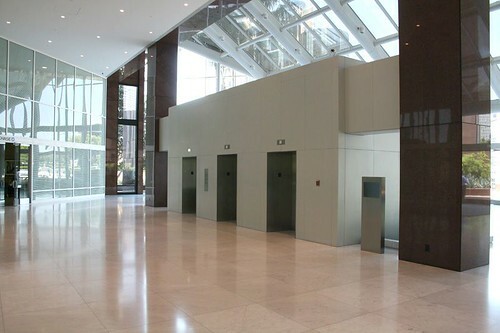 Features grand staircase to courtyard with seating areas; stunning 2-story marble and granite lobby; dressed ground floor lounge and conference room; vacant and dressed offices with conference room; valet and 6-level subterranean parking garage; exterior Penthouse and rooftop with helipad. Cl ick on photos for more details about this property. 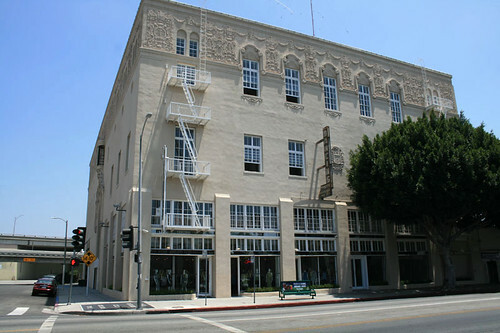 The Location Portal is pleased to present the film-friendly Casa Vertigo, a Historic 1923 art deco landmark in Downtown Los Angeles. 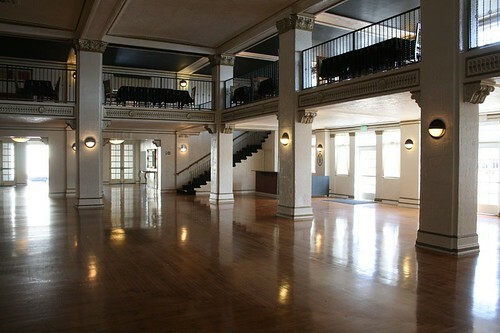 Features g rand ballroom with hardwood floors and crown moldings; c reepy basement with long corridors; d ramatic space with catwalk and hardwood floors; t heatre with stage, retail space, fire escapes; o ffice space with conference center; Penthouse and rooftop with views; adjacent w arehouse; onsite crew parking and base camp. C lick o n photos for more details about this property.